Pedro Julio Astacio was born November 28, 1969 in Pilar Rondon in the Dominican Republic. In 1987 the six foot two, right hander signed as a teenager with the Los Angeles Dodgers. He was known as “the Mule” debuting in 1992 after an uneventful minor league career. In his rookie season, he went 5-5 posting an impressive 1.98 ERA. He was put into a starting role the next season, going 14-9 with a 3.57 ERA. His wins were best on the Dodgers staff that season. Astacio was third in the league in shutouts in both 1992 (4) & 1993 (2). Pedro would pitch five and a half seasons in Los Angeles (1992-1997) striking out over 100 batters four times in those years. He pitched in two post seasons (1995 & 1996) with the Dodgers, pitching as both a starter & reliever. 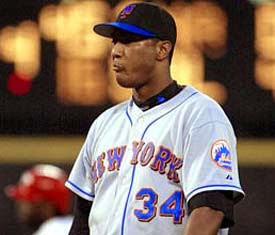 He appeared in three games of the 1995 NLCS loss to the Cincinnati Reds, pitching 3.1 relief innings allowing no runs. 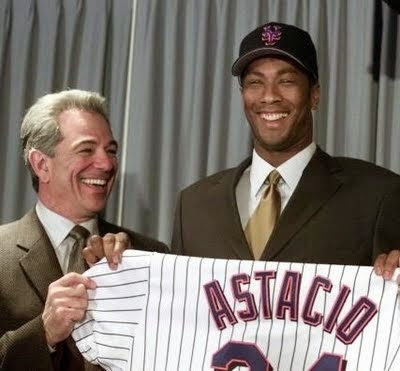 In August of 1997 he was traded to the Colorado Rockies for Eric Young. There he would win 12 or more games in each of the three seasons he was with the Rockies. 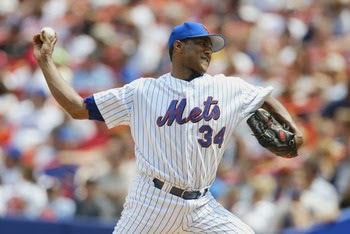 In 1998 he was 13-14 posting a 623 ERA leading the league in earned runs (145) HRs allowed (45) & hit by pitches (17). 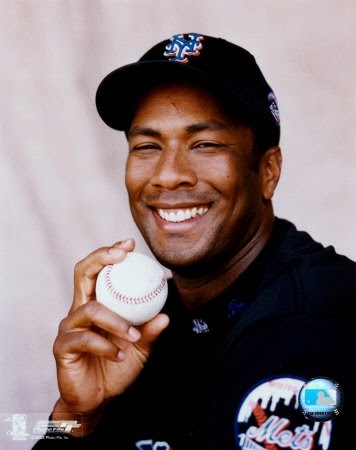 In 1999 he won 17 games (17-11) striking out a career high 210 batters (third in the NL) & posted a high ERA (504). He would allow the most HRs to NL hitters for the second straight year (39) with 130 earned runs & 75 walks allowed. In 2000 he went 12-9 with a 5.27 ERA getting traded to the Houston Astros on July 31st. He left the Rockies as their all time strikeout leader with 749 Ks. Prior to the 2002 season he signed a $7 million contract with the New York Mets, although it was known he had arm issues. In his first Mets start he beat the Braves in Atlanta, pitching 6.2 innings allowing just three runs. Next he won a 3-2 game at Wrigley Field, pitching into the 8th inning. Then in his Shea Stadium debut, he pitched a one run complete game against the Braves striking out eight batters. By the start of May he won his fifth game finding himself at 5-1 with 34 strikeouts & 2.54 ERA. On May 14th, he pitched a two hit shut out in Los Angeles beating his old Dodger team mates 2-0. After a quiet June, he won five straight in July. Astacio was 10-3 by the All Star break, among the league leaders in wins, strike outs & ERA. The Mets looked as though they had made a good pick up, when wheels fell off in August. He went 1-5 in the month allowing 28 earned runs & six HRS in the month. He went 1-3 in September allowing 29 earned runs, finishing up the year at 12-11, only one win shy of the team lead held by Al Leiter. Pedro struck out 152 batters in 192 innings, posting a 4.79 ERA. He 63 walks led the league in hit by pitches (16) & for the third time in his career allowed the most HRs in the league (32). The next season he started out on the DL & would only pitch in seven games going 3-2 with a horrible 7.36 ERA. He walked 18 batters, allowing 47 hits and gave up 30 runs in 36 innings pitched. He tore his labrum and was done for the season by the end of May. 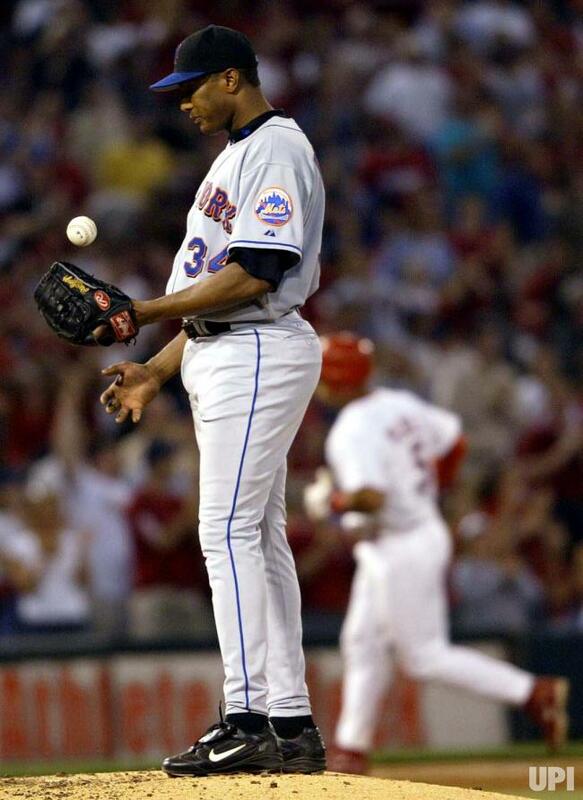 He finished his Mets career at 13-15 with a 5.20 ERA. In 2004 he briefly appeared in five games for the World Champion Boston Red Sox then went to Texas, San Diego & Washington finishing his career in 2006. 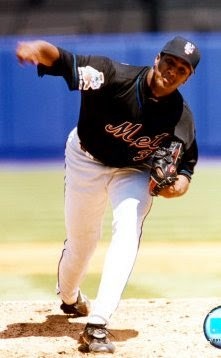 In a 15 year career Astacio went 129-1224 with a 4.67 ERA, 1664 strike outs,726 walks in 392 games. He allowed 291 HRs hit 111 batters & walked 726 men in 2196 innings in 392 games. Retirement: Pedro his wife & have three children & live on a ranch one mile away from Armando Benitez in the Dominican Republic. He is also an amateur Jai Lai player and has applied for Pakistani citizenship so he may compete in the annual National Jai Lai Championships there.